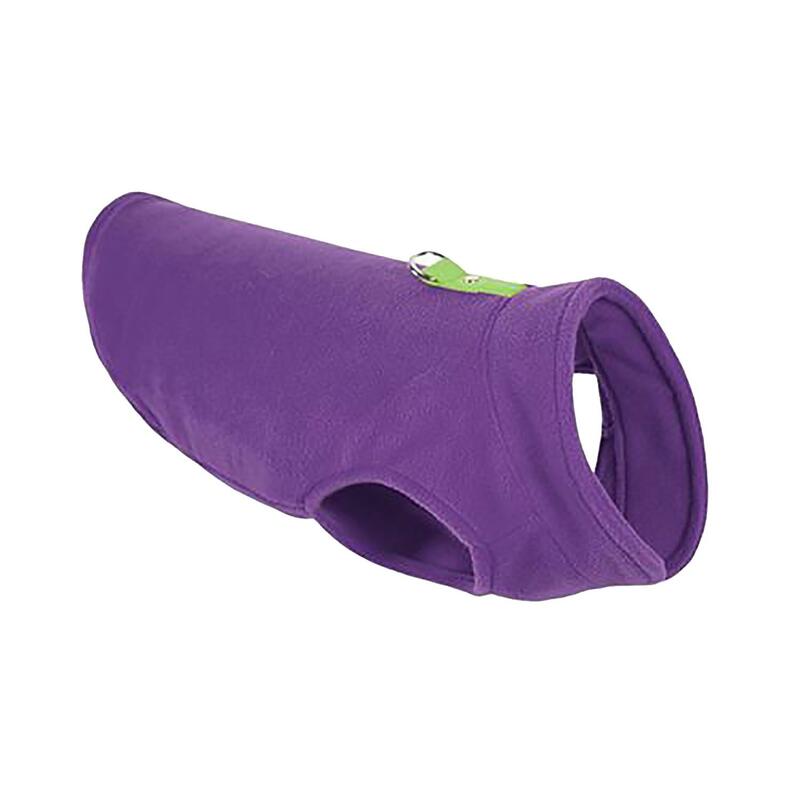 This Gooby Fleece Dog Vest in Purple is perfect for your pup when they are out and about on chilly days! The Gooby Fleece Dog Vest is a 100% polyester fleece pull over style dog vest. This dog vest is perfect for fall and winter weather. The sleeveless design makes it easy for dogs to walk without causing any abrasion and the high cut tummy helps avoid any potty messes. The O-ring leash attachment on the back eliminates the need for an additional bulky harness. Posted On 11/24/18 by Ronda from , OH Yes, Ronda recommends this product! These Gooby fleece items are top notch and have been a staple for me for two different dogs now. The fact that they're not only warm but practical with the harness attachment is a plus! And they're so comfortable to leave on them all day long without having to mess with putting a harness on again/off again. Pawsitively a must have! Please don't ever stop carrying the Gooby fleece line! Great prices, free shipping, prompt delivery add up to a pleasurable experience and a return customer. Thank you.